If you are looking for the archive of Malaysia Travel News 2014, here is the listing that you can refer to for your reference. 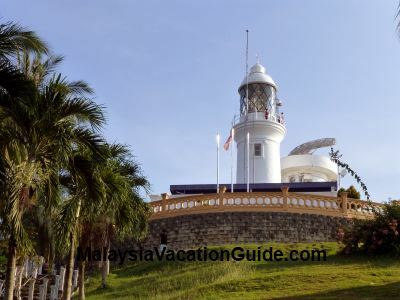 You can find the latest Malaysia travel news here. The annual Pesta Pulau Pinang 2014 is back and is now open to the public until 31 Dec 2014 from 6pm-11pm daily. Attractions here include theme park rides, games and booths selling all kind of items. Located at Sungai Nibong, the admission fee is RM3/adult and RM1/child. If you are into stamps, head for KL Convention Centre from now until 6 Dec 2014. Over 300 stamp exhibitors from around the world will be here. Exhibition is from 10am to 10pm. Free admission. If you are planning a last minute getaway before the end of the year, check the year end promotion by MAS. All shoppers, take note that the MYES will be held from 15th Nov 2014 - 5th Jan 2015. Head for the shopping malls throughout Malaysia and enjoy great discounts. This museum located at Bank Negara Malaysia is exhibiting the latest exhibition with the theme "Knowing Nusantara: Money That Made The Region". Currencies of neighbouring countries and collection from shipwrecks with their history will be held at Level 2 until 26 Dec 2014. Admission is FREE. The second MATTA FAIR of 2014 in Kuala Lumpur will be held from 5th-7th Sept 2014 at PWTC. Time is from 10am to 9pm daily. If you plan to travel at the end of the year, this is the best time to book your travel packages. There will be a Stamp Fair from 6-7 Sept 2014 from 9:30am-5:30pm. Venue is at PJ Community Library, Lot 389 Jalan Selangor, Section 3, Petaling Jaya. This fair is organized by Philatelic Society of Malaysia. Admission is free. If you are into serious fishing, this annual event is for you. Held at Kuala Rompin in Pahang from 12-14 Sept 2014, this 3-days event features the catching and releasing of migratory Billfish from the northern to the southern hemisphere. This year's StarWalk Penang will be held on 14 Sept 2014. It will start at 7:00am from Birch House, Penang Times Square. Know more about the historical city of Georgetown, Penang as you walk on this Sunday morning. This annual tourism event organised by Malaysian Chinese Tourism Association will be held at Midvalley Exhibition Centre from Aug 8-10, 2014. Booths that provide information on tourism from Hong Kong, Phillipines, Thailand and Taiwan will be here. Admission is FREE. This tourism event is targeting high-end consumers and will be held from Aug 8-10, 2014 11am-8pm at Kuala Lumpur Convention Centre. Hotels, helicopter tour, spa, Menara KL and luxury vehicles will be the focus of the fair. There will be a total of 220 booths at Hall 5 & 6 offering tourism related products and services. Beginning from 1 Aug 2014, all vehicles going into Singapore and Malaysia through Johor Causeway will have to pay more for the toll charges. Cars going to Singapore will be paying RM6.80 before which there were no charges. Cars coming into Malaysia will be paying RM9.70 compared to RM2.90 previously. If you are a university or college student, you are entitled to "Buy 1 Free 1" ticket promotion from 29 June 2014 till 27 July 2014. Tickets can be purchased at Sunway Lagoon ticketing counters. You will need to show two student ID cards. Every Tuesday starting from 5th Aug 2014 - December 2014, all Malaysians with MyKad/MyKid will get to enjoy all the attractions for RM40 per person. Just ask forQuack-tastic Tuesday when you buy the tickets. PIKOM Fair 2014 will be on from Aug to Dec. The venue of the fair in Kuala Lumpur is at Kuala Lumpur Convention Centre near Suria KLCC and will be held from Aug 8-10, 2014 and Dec 19-21, 2014. Get your computers and other IT goods here during this time. Two pandas bear from China have arrived in Malaysia. Called Xing Xing and Liang Liang, you can see them at Zoo Negara's Giant Panda Conservation and Exhibition Centre from 27 June 2014 onwards. 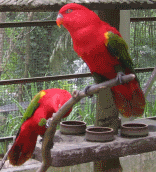 The zoo will be giving Free Entrance(Weekdays only) for kids, senior citizens, OKU and orphans from 28 June- 12 July 2014. In conjunction with Petaling Jaya International Folklore Festival 2014, MATTA Selangor will be organizing a Travel Fair with booths offering travel packages catering mainly for Muslim travellers for travel from Sept-Dec. Non-Muslim packages are also available. Both international and domestic packages are on offer at this fair. Venue: Plaza Sunken MBPJ, Petaling Jaya. 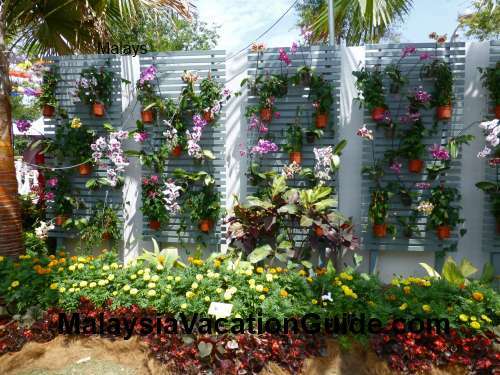 This garden and flora festival annual event with theme Mesmerising Colours will be held at Putrajaya from 14-22 June 2014. This year's event will be moved to a permanent venue where visitors will be able to visit the place throughout the year. More than 22 countries will be taking part this year. Stay back until evening and you will be able to see colourful floats on Putrajaya Lake. Venue: Promenade, Precinct 4, Putrajaya. Time: 9am to 10:30pm from Monday to Thursday, extended to 12 midnight from Friday to Sunday. Why not take your creativity to another level by participating in the FRIM painting or KL Photography Festival contests. See more details here. There will be a Stamp Fair from 7-8 June 2014 from 9:30am-5:30pm. Venue is at PJ Community Library, Jalan Selangor, Section 3, Petaling Jaya. This fair is organized by Philatelic Society of Malaysia. MAS or Malaysia Airlines have imposed a maximum of 2 baggage for checking in effective 28 May 2014. The total weight is 30kg (Ecomomy Class), 40kg (Business Class) and 50kg (First Class). All travellers take note that the new airport KLIA2 is now the airport for AirAsia and other budget carriers. It is located beside KLIA. LCCT had been closed since May 9, 2014. The Kuala Lumpur Engineering Science Fair will be held at National Science Centre from 25-27 April 2014, 9am-5pm to promote the interest in engineering and science among students. Admission is FREE. It will be a good event to go for day of fun with your family and friends. See the planets other than earth at the National Planetarium. The Stargazing event will be held at 8pm on 29 March 2014. Admission is FREE. A good place to go with the family. In conjunction with Formula 1 race, the 1 Malaysia GP Sale will be held from 15th March-6th April 2014. Enjoy great discounts and other privileges when you shop during this time of the year. Head for the shopping malls in Kuala Lumpur and surrounding areas. Recent dry weather has caused the State Government to implement the rationing of water in Klang Valley. The haze situation also occurs due to the lack of rain and forest/plantation fire. Check out the Air Pollutant Index issued by the Department of Environment and stay indoor if the API reaches the Unhealthy Level. Get a mask if necessary. The second Penang Bridge is now open for travellers going to and fro Penang Island. No toll will be collected from 1-31 March 2014. This bridge is 24 km long and connects Batu Kawan at the mainland to Batu Maung on the island. It will take about 30 minutes to cross the bridge if you are driving at 80km/h. This bridge is the longest in South East Asia. This is another international class event that you may want to consider going. Balloonists from all over the world will be participating in the annual event to be held from 27-30 Mar 2014 at Millennium Monument, Precinct 2, Putrajaya. Take the opportunity to ride the balloons and the helicopters for a panoramic view of the place. Plan to go to Port Dickson from 8-9 March 2014 and join the Raptor Watch which will be held at PNB Ilham, Tanjung Tuan, Melaka (10th Mile Port Dickson). Organized by MNS, this annual event is a good platform for you to learn more about the migratory birds in this area. Plenty of activities to do ranging from nature walks, sea shore walks, nature talks, colouring and poster drawing contests to mangrove walks. Take the opportunity to go up the Cape Rachado Lighthouse as well. The annual National Craft Day is back from 26 Feb-10 Mar 2014. It will be held from 10 am - 10 pm at Kompleks Kraf Kuala Lumpur. Free shuttle service is available every 30 minutes from Ampang Park LRT Station. Admission is FREE. Take a few hours off your daily routine and enjoy the cultural performances, demonstrations and the many exhibits here. If you are a travellers or someone who likes to read, go for the book fair at PutrajayaInternational Convention Centre where over five million books will be on sale. This event to be held from 19-23 March 2014, 10am-9pm is also supported by Tourism Malaysia. You can now have a choice to take metered city taxi from KLIA, which is relatively cheaper than if you were to take the airport premium limo or even the airport budget limo. City taxis will operate from Level 1 whereas the airport limos will operate fromLevel 3. Starting from 1 March 2014, you can get help for metered taxis at the counters in the arrival halls. This year, the tour will be on from 27th Feb-8th March 2014. If you are into cycling, head for this premier cycling event of Asia. Ten stages of race will be held throughout Peninsular Malaysia with the starting stage to be held in Langkawi. Visit www.ltdl.com.my for more details. Plan your travel early and check out the AirAsia website for the best rates. You can save a significant amount of airfare if you purchase early and during promotional offer by the airline. AirAsia is given away FREE seats and good rates to selected destinations for travel from 1 Oct 2014 to 30 April 2015. Booking is from 24 Feb - 2 Mar 2014. Hurry and plan your holidays now to take advantage of this promotion. Check out also MAS for offers to selected destinations. This annual event in Bukit Layang Layang, Pasir Gudang, Johor will be held from 19th-23rd Feb 2014. See the huge kites that will be flown by experts from around the globe during this time of monsoon season when fishermen are not able to go out to the sea to fish.